The Market Maker makes it possible to maintain bids and offers on any instrument. It’s logic is highly customizable. 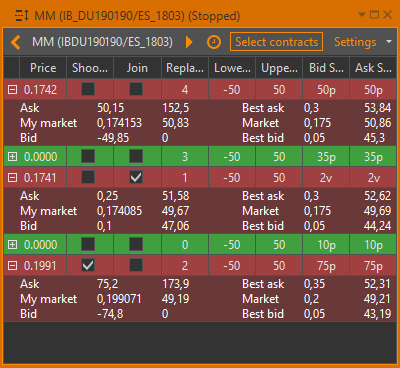 You can quote a bid and/or offer, setup spreads, set sensitivity to either price or volatility change. 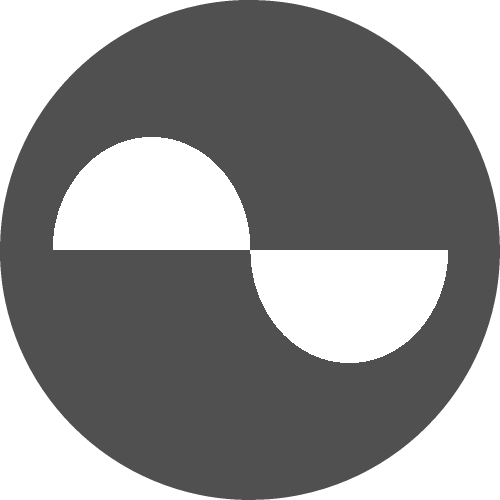 Also it can join individual instruments to open or close big positions in small portions. The Delta hedger is designed to keep the delta of a position of options within a desired range. 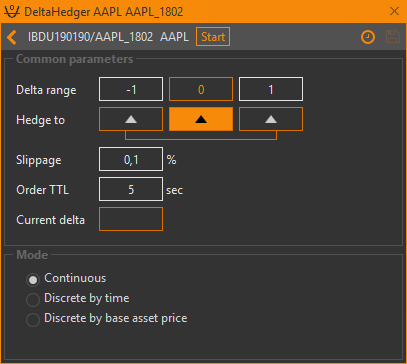 The user may segregate some options positions in a separate subportfolio and hedge them independently. Option Workshop is free for 30 days! We appreciate your feedback and suggestions, click here if you have some!